As your small business expands, you will soon face the reality that you can’t do it all, and it’s time to bring in new team members. 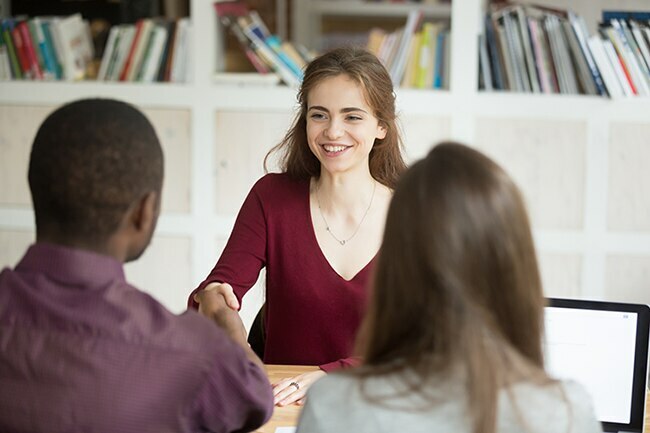 Hiring new staff can seem daunting at first, but once you have a process in place, you’re sure to find amazing team members that can help elevate your business to the next level. Here are five tips for recruiting great people. Before you start bringing people onto your team, you need to be specific about what you want the person in this new role to achieve. Write out a detailed position description and decide exactly what the role is and isn’t, and what skills and knowledge this person will need to succeed. This will help you know exactly what you’re looking for when conducting interviews, and it will also help candidates determine if this is the right role for them. Do your research and look at competitors, find similar job descriptions and see if you can work out the going pay rate. Decide what makes your company different – how can you stand out from the crowd? If you can make the position look exciting, engaging, challenging and rewarding, you’re sure to get a great response from job seekers. Offer company perks, no matter how small, and a competitive wage. There’s nothing worse for a candidate when they submit an application for a role or even attend an interview and then they hear nothing. Don’t keep your potential employees waiting. Act fast. That means telling unsuitable candidates no quickly, so they can move on to pursue other opportunities, and saying yes to the right candidate before they get snapped up by someone else. It also makes you and your company appear efficient and decisive. People can be great at saying the right thing, but in some circumstances, it’s best to ask if they can actually show you. If you’re searching for a specific skill-set, ask to see their portfolio or samples of their work. If it’s more of a personality trait or ability, ask if they can give you specific work examples where they were able to demonstrate those skills. Once you have gone through the interview process and you have your final candidate, do a reference check. This shouldn’t be to check every last detail, but just to confirm what you already know. In the rare occasion, you get a red flag from a previous employer remember to trust the resume and achievements of the person as a whole, not one person’s opinion. If you have any lingering concerns, take it up with the candidate and be honest.